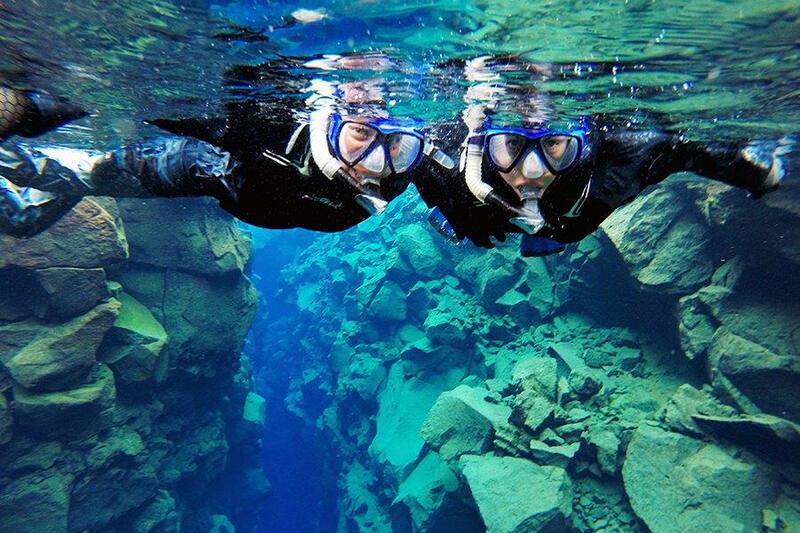 Combining snorkeling and caving gives you the ultra experience of Icelandic nature. 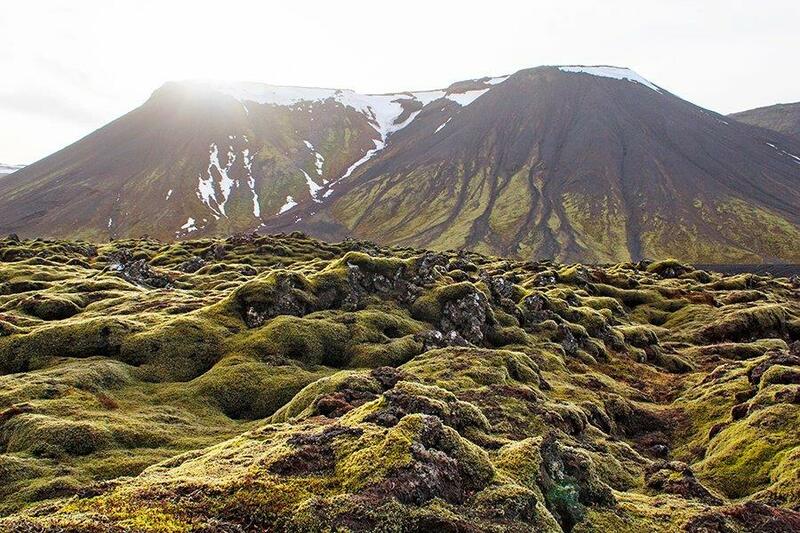 ✅ Underworld wonders of the Icelandic lava fields – caving in Leidarendi lava tube. Price: ISK 26.900 (included in the price is pick-up and drop-off at your hotel, guide and all necessary equipment for snorkeling and caving). Clothes suited to dress under a drysuit such as long warm underwear or sweat suit and warm socks. Clothes suited to dress under a wetsuit such as swimsuits. Warm clothes to wear prior and after the snorkeling. Water Resistant outer layer as it can be wet inside the cave. You can rent a Go-Pro camera from us. 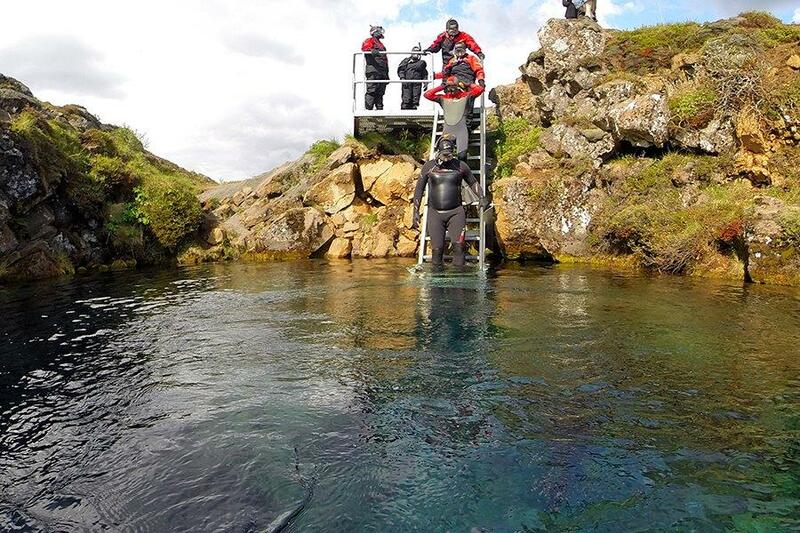 Combining snorkeling and caving gives you the ultra experience of Icelandic nature. 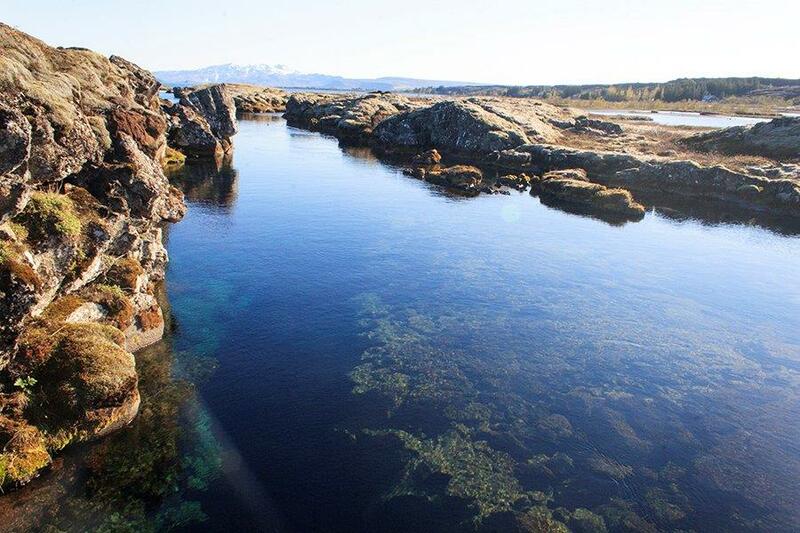 You will explore the hidden world of the lava fields by foot by caving in the Blue Mountain area and visit the UNESCO World Heritage site, Thingvellir national park and snorkel the freshwater fissure Silfra, one of the best diving site in the world. 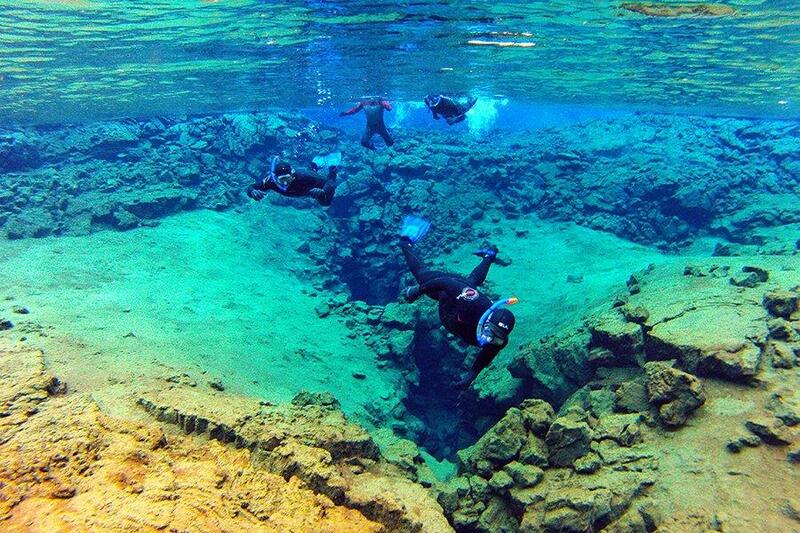 Silfra is a freshwater fissure about 60-63 meters where it is the deepest and you can almost see to end of it as the water is so clear. The water is so pristine it feels like flying. No diving experience is needed as you will snorkel at the surface of the canyon. We provide all the gear that you need and offer snorkeling in wetsuit and drysuit all dependent on your interest. We, however, recommend the wetsuit as you will feel more free and be able to dive as well, no diving license is required. The cave we will visit is called Leidarendi. The 900-meter long lava tube offers unique rock formations, such as stalactites and shelves. Some light crawling may be required yet Leidarendi cave has a rather easy access to the underworld wonders of the Icelandic lava fields.